NOTE: Legal in California only for racing vehicles which may never be used upon a highway. 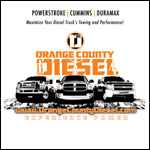 High-horsepower diesel trucks equipped with aftermarket turbochargers will typically display surge characteristics that can cause severe turbocharger failures. BD Power's BD-1047250AS Diesel Silver Valve Turbo Guard Kit 2001-2012 Chevrolet 6.6L Duramax can prevent this surging. The Turbo Guards' blow-off valve protects your stock or aftermarket turbo from surging and the resulting compressor wheel explosions. 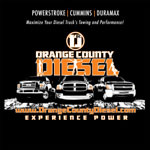 OC DIESEL offers Professional BD Power BD-1047250AS Installation.